Writer and devoted yogi Cila combines the two disciplines to help people discover and communicate their truest self. As a writer, editor, consultant, and content marketing expert she applies the wisdom of yoga to work and daily life. Based in Ibiza, she travels extensively and works with clients around the world. Her interests include yoga, food, wine, music, travel, vegan and vegetarian nutrition, running, organic viticulture, and digital classified advertising. She writes profiles, articles, blogs, poetry, travel guides, recipes and much more. There is a basic misconception about yoga, which is that you have to be in great shape to start doing yoga. 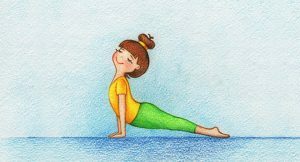 People who feel they “can’t” do yoga because they are not strong enough, or thin enough, or can’t touch their toes are missing the point. 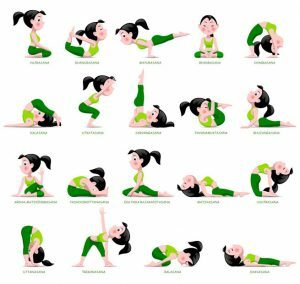 This is easy to do, given the popular image of yoga as a “sport” for the young, fit and flexible. But that’s just marketing. Yoga, in the true sense, is a practice that creates healthier, stronger, more responsive minds and bodies. It doesn’t matter where you start. If you have to take a break walking up a flight of stairs, fine. If you need a mirror to see your toes, fine. If you struggle to lift a pint of milk, fine. You can begin exactly where you are. Yoga gives you the tools to transform four key elements of your health.